After hearing about a potential new paint job for the Nokia E72, Nokia came out to officially announce the handset, but there was no mention as to where it'll be heading. Joining the ranks of the Nokia N97 and Nokia X6, the Nokia E72 White Edition is the next handset to be fully decked out in a complete chalk-like color that includes a bunch of accessories also sports a white coating. Powering on the device, owners can expect to see an exclusive white theme and a personalized homescreen. 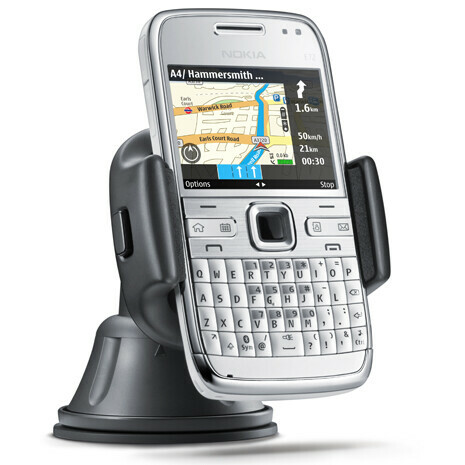 Additionally with this official announcement, the Nokia E72 will be receiving a much needed firmware update that'll bring forth the latest version of Ovi Maps with free walk and driving navigation. As with most new updates, this one will also include fixes that'll offer general stability, performance improvements, improved social networking, and internet radio. The latest version can be downloaded through the Nokia Software Updater, but make sure to backup your data before proceeding ahead. umm i just wanted to know if the e72 white has the same price as the other e72 editions?